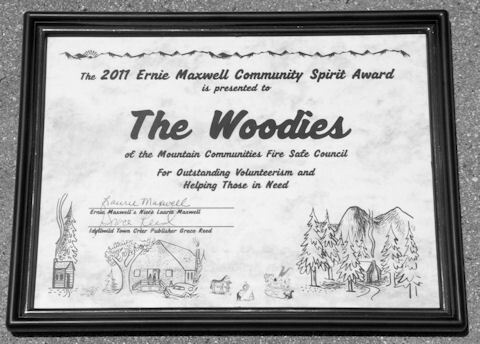 The Woodies, MCFSC’s volunteer group that cuts wood and helps with property abatement, were given The Town Crier’s first annual Ernie Maxwell Community Spirit Award on July 8 at the Nature Center. 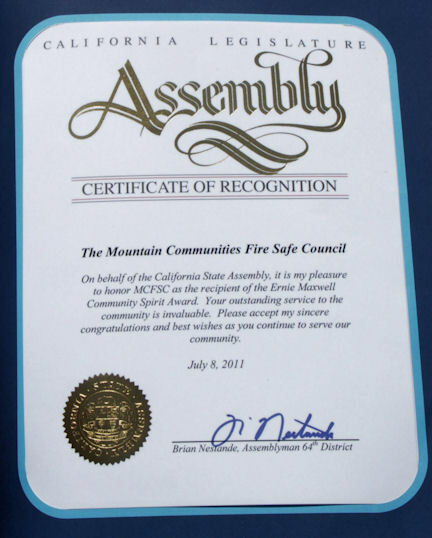 The Woodies were chosen from nominees which included two other esteemed service groups, the Idyllwild Fund and the Mountain Community Patrol. It was a gorgeous evening, replete with delicious BBQ and great stories about the legendary Ernie Maxwell, an exraordinary person who had much to do with creating the tradition of community service that is such a part of life on the hill. 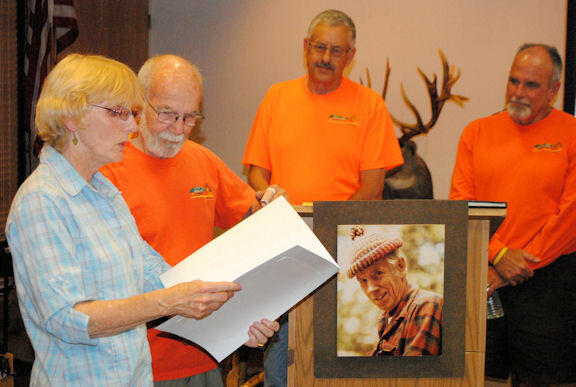 Ernie’s niece, Laurie Corbett, who presented the award, said the Woodies were precisely the kind of group he would have joined, given his powerful love of nature and the mountain. Congratulations to the Woodies! 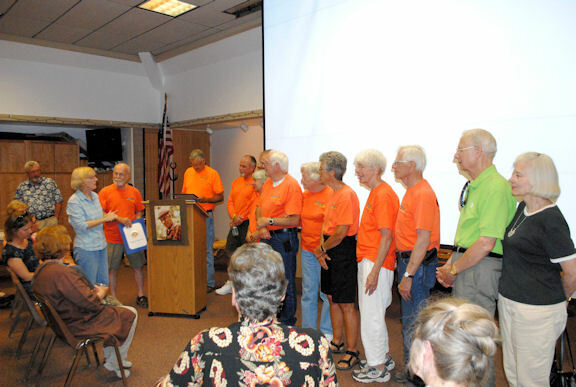 And, by the way, if you’d like to join this terrific group, call the MCFSC office at 659-6208.